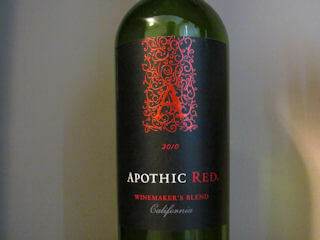 A blend of four different grapes makes Apothic Red wine an interesting wine to review and drink. Apothic Red is a blend of Cabernet Sauvignon, Merlot, Syrah and Zinfandel. For this tasting I re-enlisted help from a previous tasting assistant, Miss Jonelle, who did a great job providing her analysis for a previous review. She did a great job on the Apothic Red as well and the review below covers both our thoughts on this wine. 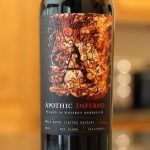 For comparison purposes, check out my reviews of Apothic Inferno, Apothic Crush, Apothic Dark and Apothic White from the same winemaker. To start, the cork was soft but in good shape. Dark in the glass, Apothic Red demonstrated slow falling fat legs that looked like fingers. This gave us our first indication of it’s richness. We both noticed a good hint of alcohol in the aroma, 13.1% according to the wine maker. The nose was of dark, jam like fruit with perhaps a hint of licorice. According to the winemaker’s web site, Apothic Red “reveals intense fruit aromas and flavors of rhubarb and black cherry, complemented by hints of mocha, chocolate, brown spice and vanilla.” We didn’t pick up on all those aromas but the nose was enjoyable nonetheless. In 2017 the site updated their tasting notes, saying you can now expect flavors of black cherry, vanilla and mocha. Also, the blend hasn’t changed. Tasting revealed just how good Apothic Red is. I sensed deep fruits, some butter and the tiniest hint of bitterness. For Miss Jonelle, it was fruit and black cherry. Overall, Apothic Red is highly recommended. A great cocktail party wine that is a smooth, fast sipper on it’s own. Though, I could see it paired with a rich vanilla ice cream. Yum! Apothic Red price $9.99. Still a great tasting wine at a great price point. Hi… I love a full-bodied wine, am accustomed to oak and I’m not anti-blend. In the glass this wine is beautiful and I liked the alcohol in the nose. 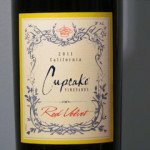 That said, I SO disliked this wine, and the very similar Cupcake Red Velvet (even worse, IMO), that I’m becoming afraid to buy any blend I haven’t tried before. That sweet, up-front vanilla (perhaps not the best description but it’s as close as I can get) on the palate is so off-putting to me, so how do I know what NOT to buy in the future? It seems impractical to stay away from all oaked reds, so are there descriptive terms I should watch out for? This is an honest question and I would really appreciate any insight. TIA! Hi Amy… I think your description is pretty good, actually. Both Apothic Red and Cupcake Red Velvet have Zinfandel in their blend. So, check the back of the bottle for the blend before you buy. Also, look for terms like “black cherry”, “jammy”, “fruit forward”, etc. You mentioned “vanilla”, that’s another one to watch for. Look for anything that might hint as to how sweet the wine might taste. It’s not foolproof, however. I’ve often tasted a wine and wrote down what I tasted. 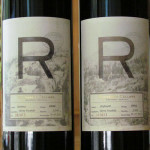 Then, looked at the bottle or the wine’s official tasting notes on their web site and disagreed with their descriptions. Another thing I’ve noticed is that the sweeter blends seem to come from, and be marketed to, the U.S. I was recently talking to a package store owner and he was telling me that the sweeter blends are what’s selling best these days, so we may see more come down the pike. A different “blend” that’s not sweet at all (or at least not in my opinion) are the Super Tuscans from Italy. The base of those blends is usually Sangiovese. You may want to try one for the sake of comparison. Hope that helps a little… Cheers! and also easy on the budget. Thank you for a wine that is amazing and affordable. Amy, great assessment . I’m not picky but the cloying sweetness was too much for me. 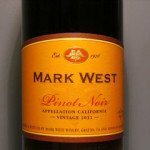 Better wines (less sweet) at similar price points. I agree with Amy. I too love full bodied wine, but this wine did not appeal to me at all. I have not been able to put my finger on what is off-putting about the taste. Perhaps it is the overtones of vanilla? The sweetness? Not exactly sure. I do agree with others that the body, aroma and color are great. Read your review, tried it tonight and found it delightfully pleasant, especially for the price. Thanks for your review, Jon. No problem, Scott. Thanks for commenting! I agree – wicked smooth is an accurate description. 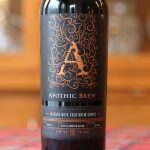 I thought I had settled on a Gnarly Head red blend as my favorite, I picked up Apothic because it was pretty and I like to try new things at this price point ($11.99 in my neck of the woods) – I was surprised at the drink-ability, and it immediately became my favorite. Great! Thanks for the comment, Rusty. Cowboy Jones, you are the hootinst, tootinist, shootinist bobtail wildcat in the west! Thanks for the comment! You can’t make everyone happy …There are two kinds of wine people, the kind that like sweet red wine and the kind that like dry. If you don’t like a wine that tastes even a little sweet then this one is not for you. If you are a person who loves sweet wine then this one is the best one you will ever taste, period, end of sentence, full stop. Drink your dry mouth puckering red wine. It just leaves more for us!!!! Too late on the warning, I am afraid. A huge disappointment, reminiscent of over sugared cherries, with distinct chocolate tones. Serve it over ice cream, but not a serious offering for those who like good reds. I have never been much a wine person, however needed a bottle of wine for dinner tonight and a customer at a local store directed me to this wine and said I couldnt go wrong. Not only did I enjoy it, but each of my guests commented on how good the wine was. it was excellant. Thanks for the comment, Eric. Word of mouth usually steers you in the right direction. Cheers! I happened to try Apothic Red nearly 6 months ago when I hosted an evening with friends. It is hands down one of the best red wines I have ever had!!! I absolutely love this wine and truly enjoy every sip. I am simply blown away by the negative comments here about it. Someone mentioned in an anonymous post that there are 2 kinds of wine drinkers, those who enjoy a sweet red and those who enjoy a dry red… This is definitely on the sweeter side. LOVE IT!!! It is priced at $15.95 here in Windsor, Ontario (Canada) I happened to try a similar tasting wine this evening, Yellow Tail Big Bold Red ($13.95 price point), very tasty s well… Thanks for posting the review! Cheers! You’re welcome Natalie! Thanks for the comment and cheers to you as well. Thanks for the comment Rick. 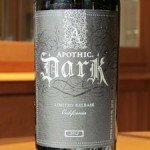 I like your point about serving Apothic as a wine everyone will drink. Same goes at my house, or when I bring a bottle to someone else’s. Cheers! Apothic Red is my family’s go-to for drinking, dinners, and gifts. We love how ultra smooth it is, and that dark fruit taste. We do agree that it needs at least an hour or two to rest decanted, this seems to change the flavor completely. We have gotten bottles for as low as $8.99, and we typically keep at least two on hand at all times. Love it! Thanks for the comment! Keep an eye out for Apothic Dark around the holidays. It’s very limited but everyone I’ve talked to loves it when they can find it. It’s even smoother and darker. Cheers! I did not like this wine. I am a person who does not like alcohol. I want a wine that taste more fruity and less alcohol. Thanks for your comment, Steve. I’d be curious to hear your opinion if you get a chance. Cheers! This is my favorite wine! I drink it a lot and when I have to have something else or to try to mix things up I’m disappointed. Away on business I was with a woman who was working for me and after work we were going to get a bottle of wine and relax – I told her Apothic Red is the only wine I drink anymore and to my surprise she said she was the same way! She said she and all her friends are hooked on it. Its just a really, really good red wine. Thanks for commenting Marilyn… Cheers to you, your co-worker and your friends! Well, let me talk about sweetness and Apothic Red. You see, I’m a punch to the palette Cabernet kind of guy. The sweet white dessert wines couldn’t be fashioned to be less favorable than they are. That said, Apothic Red educated me. It is possible to be a bit sweet and still knock your socks off. The blend is just perfect – enough of a base with Cabernet to convince you of its substance but this sweet forward taste to encourage a second glass. Really, the sweetness complaints are over blown in my opinion – the balance is just right, and this coming from someone who abhors sweet wines. Thank you Apothic for making a wine I look forward to the second glass both in my mouth and my wallet. I’m buying a case. Thanks for the great comment Geoff! I discovered this wine over the Christmas holidays and this is my new flavor!! I love it and encourage my friends to try it, many who agree with me!! Some say it’s sweet, some say its bold, some say it’s a bit bitter/tart. I think I may taste each of these, but they blend well, for me!! It’s refreshing, tasty and silky smooth. I’m disappointed when I go to purchase and either the shelf is empty or the store don’t carry. So, I made it a point to go to Sam’s Wholesale at least once a month to stock up! Wish they gave a discount for multi-bottle purchases though. Very delicious and I’m a fan!! Thank you!! Thanks for commenting Joynessa. May each glass be better than the last… Cheers! I love this wine. I don’t consider myself a wine connoisseur, but I know what I like. I don’t like dry wines. This wine is so smooth you have to be careful as it goes down easy. I’m sure other fans of this wine will agree. I find this wine to be similar to Primal Roots. Everyone has their preference, but Apothic is a great wine that should appeal to a broad spectrum of red wine aficionados. Thanks for sharing your thoughts, Joe… Much appreciated! I am a dry red drinker so for me this is possibly the worst tasting wine I have ever tried. I would not pay $2 for it at the LCBO. All the more for those of Us that love it! 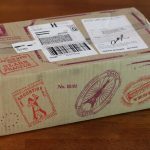 I recently received a bottle of Apothic Red as a gift. I was wondering if this wine is preferred chilled or at room temperature? The good news is, it’s totally up to you. Maybe try both? I prefer my reds at temperatures in the 60’s F. but that’s just me. I find that when reds are chilled, their flavors don’t reveal themselves to my personal palate. My go to wine has always been skinny girl california red. Wanted to try something new and the bottle caught my eye…tastes like cough syrup. Still have the full bottle minus a glass. I’m going back for a case. Thanks Kappy’s! Thanks for commenting and your detailed tasting notes, Suzanne!